Looking for how to do your own business credit card reviews? 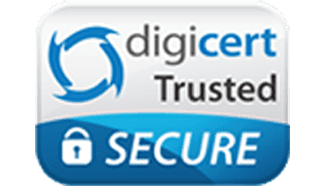 Completing business credit card reviews or business debit card reviews is important when you are trying to make the best choice for your business. Having access to cards for your company can help you and your employees to make expenditures when they are needed instead of having to go through a lengthy check-approval process. It is important for you to complete business prepaid card reviews before you make your decision so that you can make certain that your card offers you the most benefits. Business credit card reviews – What are they? To complete business credit card reviews, it is important for you to understand what business credit cards are and what they are not. Credit cards depend on your credit, meaning that the company will check your credit before making a qualification decision. If you have not been in business for very long or have marks against your credit, you may be turned down. Like other credit cards, business credit cards may have low credit limits, reducing your ability to spend when it is necessary. They have almost no ability to limit employees to specific type of purchases or limits you can change or control. Business credit cards are simply credit cards that are meant for businesses instead of individual consumers. They normally have strict rules for qualification. To be approved for a business credit card, you will need to have a solid business credit history and great personal credit. Businesses that have not been operating for several years are unlikely to be approved for a business credit card. If your business has had any issues with its business credit, or you have marks on your own credit, you are unlikely to qualify for a business credit card. Since they are credit-dependent, you will also have to undergo a credit check, which can cause your score to drop. After your own business credit card review, it might make more sense to choose business debit cards. What is a business debit card, and how do you review business debit cards? Business debit cards do not depend on your credit because they are secured by deposits of your own money. Your credit limit on these cards is established by how much money you choose to place in your account. When you are reviewing different business debit card options, there are several things you should know. You should look for cards that offer no interest charges, no credit checks and that give you a significant ability to control your business expenses. You want to be able to limit purchase type and limit per week or per month. With a debit card, you would want employee 1 can use her card at gas stations up to $100 per week while employee 2 can use his card a home supplies stores for up to $225 per month. You also want to turn off a card immediately from your phone if there is any fraud or other issue. Business credit cards have several disadvantages as compared to business debit cards. These companies run credit checks and set low credit limits. You may also have to pay high rates of interest on the balances of your cards. Some business credit cards also charge high annual fees. 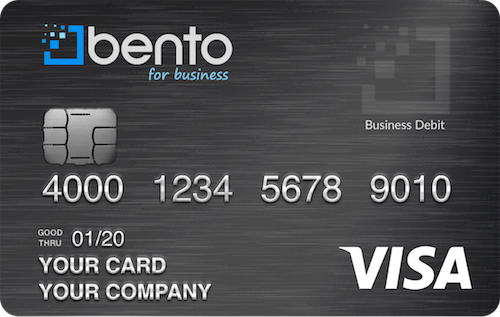 The business debit cards from Bento for Business are a great choice for small businesses. You are able to order up to 10 cards for a low monthly payment of $29. There are no credit limits, and you are allowed to select how much you want to deposit. The cards offer excellent spending controls. You are able to decide what you want to allow your employees to purchase according to the requirements of their individual jobs. From your dashboard, you will be able to review how much money remains on each card and what has been spent at any time. The cards have SSL-encryption available to help keep you safe. They are Visa® cards and can be used wherever Visa® is accepted. To learn more about the business debit cards from Bento for Business call us at 866.220.8455. Are Business Credit Cards Right for Your Company?